You love your family, of course. You also love taking photographs of them and looking at digital photos, whether they're posted on Facebook or your children hand you their smartphone to swipe through dozens of photos. It's fun and it's much more convenient than the old days, which is just a few years ago. You used to buy expensive rolls of film that were even costlier to have developed into photographs. You selected from a few dozen family photos to put in photo books. The vast majority of other photos, though, were put in a shoe box, only to be seen years later. These days, it's much the same situation. Although it's easier to take digital photos and it barely costs any money, you still end up the same way. You most likely have hundreds or thousands of family photos saved to your PCs, laptops, tablets, smartphones and the cloud. You might print a few of them in photo books, but most of those photographs just sit there, unappreciated for months or years. We've got a much better idea for your digital family photos. 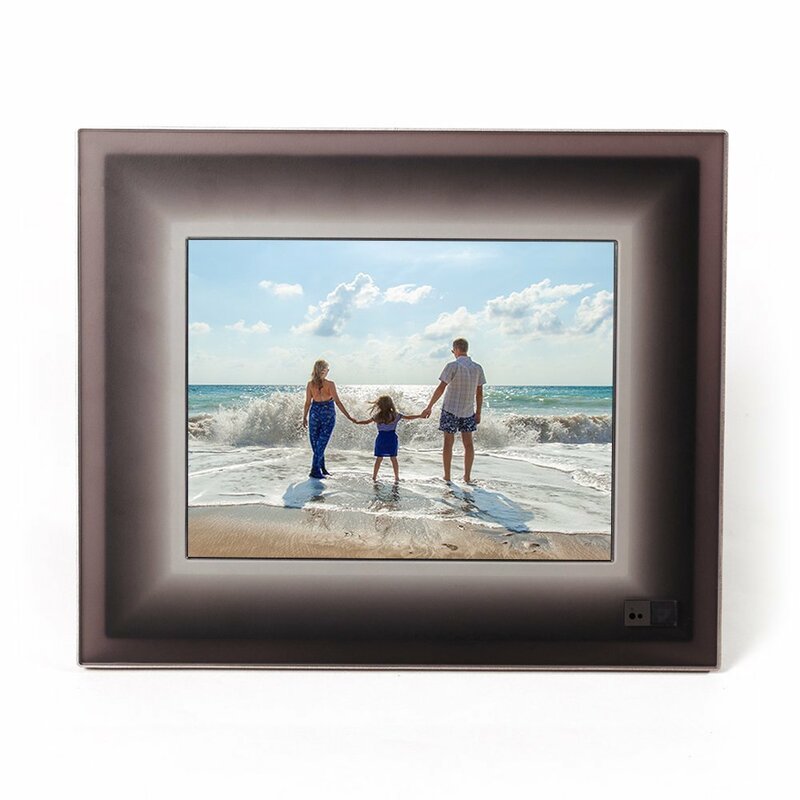 There are beautiful digital photo frames that will serve a double purpose in your home. One, these gorgeous frames will beautify your house. Two, and more important, you'll be reminded throughout the day of happy times with your family and friends. This Wi-Fi-connected photo frame solves a problem that older digital photo frames had: limited storage. 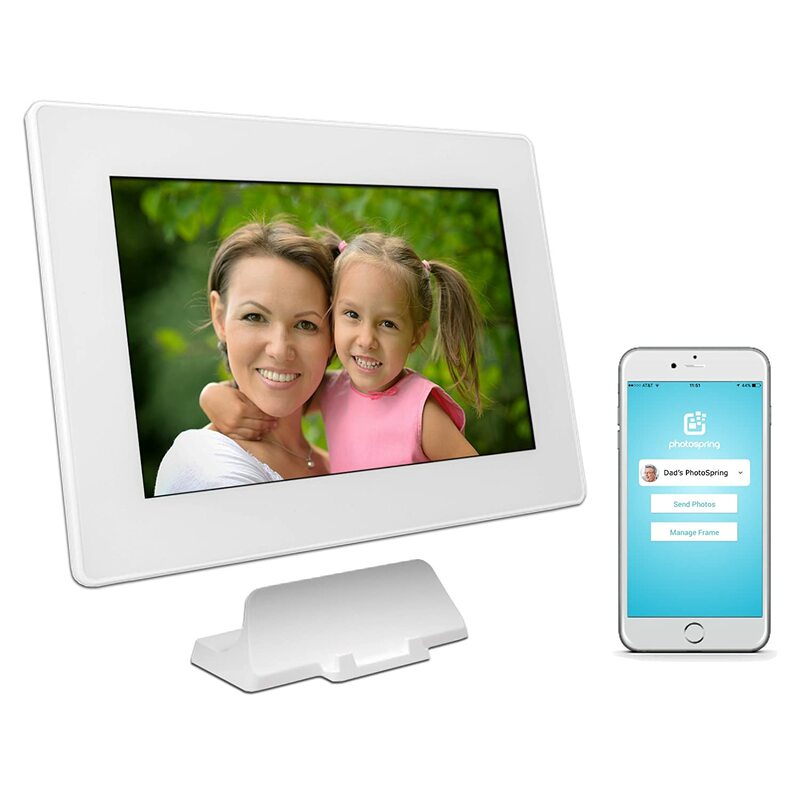 The Aura Digital Photo Frame has unlimited storage and it's free. This is an interactive photo frame. It's connected to the internet, so you can invite family and friends to contribute photographs. The Aura uses facial-recognition software to find your family members and friends. So it chooses photos that you want to see. Plus, it's a beautiful frame that comes packaged in a luxurious gift box. Sounds like the perfect gift! If you really want to impress your family and neighbors, and don't mind spending big money to do it, the Memento 35-inch 4K Smart Digital Photo Frame is for you. It's got specs to impress. 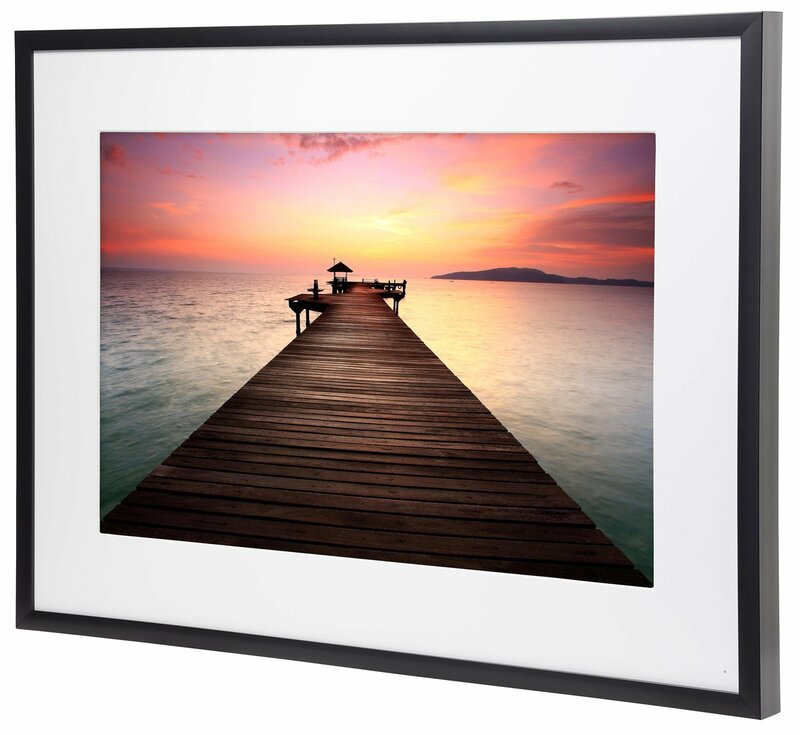 This 35-inch digital photo frame boasts 4K photos. It has four times the number of pixels of a traditional HD screen. This Memento digital photo frame has a resolution of 3240 x 2160. It displays extra-crisp images of your family. It's Wi-Fi connected, so you can remotely control it. Plus it has enough storage capacity for about 3,000 digital photos. The PhotoSpring (16GB) Digital Photo Frame is incredible. This beautiful digital photo frame, which is compatible with iPhones and Android devices, is budget-friendly, too. First and foremost, this touch-screen digital photo frame is a sleek showstopper for your home. Plus, it's portable - you can take it off its charging station and put it anywhere in your house. It's Wi-Fi connected, so you can set it up to automatically pull photos from your smartphone. You can also invite family and friends to share photos. The best part? This 16GB version can store up to 15,000 digital photographs. Be sure to protect your photographs. If you don't want strangers using your photos without your permission, or without paying you, you should consider watermarking them. It's simpler than it sounds. Keep reading for a simple way to keep track of your photographs. Click here for a tip to keep your digital photos out of strangers' hands. Do you have boxes of old photos? We all do. Your photos may be cherished memories of summer vacations at the beach. Or they could be fading photos of your kids’ first trip to Disneyland. Maybe you have photographs that are decades old. Unfortunately, beautiful, digital photo picture frames aren’t very good at displaying those old photos. Or, at least, digital frames haven’t been good options for old pictures until recently. Fortunately, our sponsor Epson's FastFoto scanner is the solution. You can transform thousands of photographs into digital images in just a few minutes. In fact, their FastFoto High-Speed Photo Scanning System can scan thousands of photos at a rate of one photo per second (at 300 dpi), making it the fastest photo scanner in the world. Once you've done that, you're ready to upload them to these beautiful frames. Click here to learn more about the Epson FastFoto Photo scanner.